The Logonauts is delighted to welcome author René Colato Laínez to chat about his latest book, Mamá the Alien / Mamá la Extraterrestre. (Last week's post shares about many of his earlier books.) One lucky reader will win a copy provided by the publisher, Lee & Low! Since I can remember, I always loved to write stories. My mother used to say that I was as smart as her uncle, the Salvadoran author Jorge Buenaventura Laínez. I knew that there was an author in the family but I understood the meaning of his work when I read one of his poems in my third-grade reading textbook. "Wow! 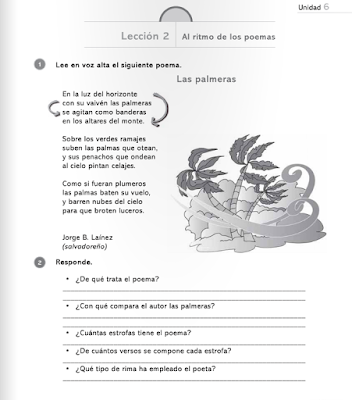 Tío Jorge’s poem was in my book." He became my inspiration to be an author. What else did you want to be when you grew up? When they asked me, what do you want to be when you grow up? My answer was always the same, "I want to be a teacher." I loved to write stories and I envisioned myself in a classroom teaching to children. I had three goals when I was a child: be a good student, become a teacher and write a book. I am so lucky that I accomplished my goals. I am an elementary school teacher and an author. What was your favorite piece of writing from when you were a kid? I liked to write acrostic poems using the names and last names of my relatives, teachers and friends. It was so funny to create poems using names. In my picture book I Am René, the Boy, I wrote an acrostic poem about my name. I also enjoyed writing versions of my favorite fairy tales. What was the inspiration for the Mamá the Alien / Mamá la Extraterrestre? 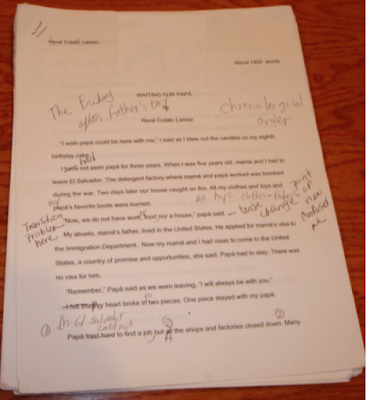 What does your writing process look like and/or what advice do you have about revision? My native language is Spanish, so my first drafts are a mixture of English, Spanish and Spanglish. I usually write in English but when I don’t know or remember a word, I always write it in Spanish. Then I go back on another revision to change the word from Spanish to English. The first draft is just the beginning of a story. Revision is the complete story. 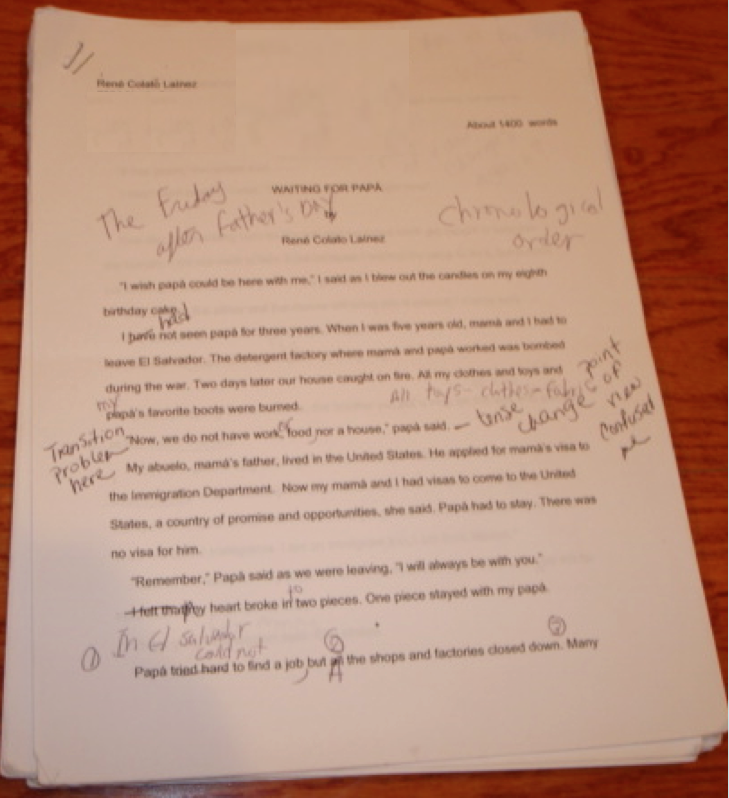 I tell children that a first draft is like a drawing of a child standing alone in the middle of a paper. Revision is when we add flowers, houses, trees, animals, more children and color to the same paper. My favorite part as an author is when I see children and adults reading my books. It is a great feeling to see the words that I typed at home now are flying and visiting classrooms, libraries and homes. Traveling and visiting schools, libraries and book festivals is also amazing because I share my work and meet readers and other authors. Do you have any advice for a child interested in becoming an author? Since you learned to write your name, you became a writer. We all are writers because we write. My advice is to write everyday. You can write grocery lists, letters, poems, notes, stories. Get a journal or a notebook and write your ideas. Some day, you can become an author. My review: This is a great story that demonstrates the power of words and labels. Kids can relate to Sofia's flights of imagination and her worries about her place in the world. 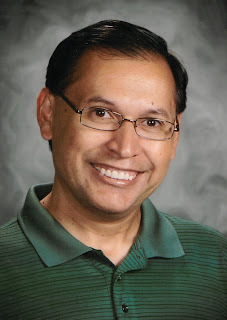 Every year when I taught my third graders about immigration and family histories, I had students react with similar confusion to the term "illegal alien" and "resident alien." I look forward to sharing this book with the new third grade teacher so she can read it aloud and discuss it with them. Recent efforts within the Library of Congress to replace the term alien with "noncitizens" and illegal immigration with "unauthorized immigration" have stalled, and you can read more details in this article by Lee & Low. As teachers, it is so important to talk to kids about the power of our words and to be thoughtful in our word choices. This is a great book to add to that conversation. Curious about the rest of René's books? 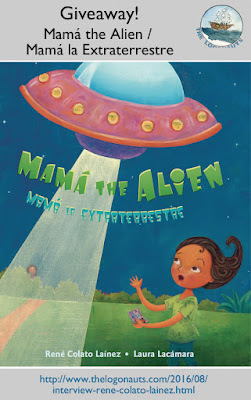 Click here to check out last week's post for details and reviews - and don't forget to enter the giveaway and win your own copy of Mamá the Alien / Mamá la Extraterrestre (US domestic addresses only). Thanks for letting me know about this book! How awesome that must have been to see his uncle's poem in his schoolbook! What an inspiration! Thanks for linking this post up with Booknificent Thursday on Mommynificent.com!